The area of Terres Basses, on the French side of St. Martin, is highly sought-after due to its location and exclusivity. Guests staying at Sea Vous Play will get to be at the heart of Terres Basses, with full access to all that the area has to offer, including shopping and restaurants. It is also just a five-minute drive to Baie Longue, Baie Rouge, or Plum Bay beaches. The villa itself works well as a romantic retreat for honeymooners, but also easily accommodates families with small children, as it has three king-size rooms and one room with two twin beds. Ideal for couples or families! Situated on a hillside in the heart of the exclusive enclave of Terres Basses, newly refurbished, Sea Vous Play Villa offers open views of Baie Longue and the ocean to Saba and beyond. The comfortable living room and large adjoining gourmet kitchen open onto the covered terrace and dining/BBQ area that enjoy ocean views. All 4 bedrooms have en-suite bathrooms and air-conditioning, and open out onto the pool terrace. The bedrooms are equal in size and standard, and have king-size beds with the exception of one that has 2 single beds. Further details that add to the quality of Sea Vous Play include the living room with 40-inch flat-screen TV/DVD with U.S. satellite channels, outdoor CD player system, cathedral ceilings, WI-FI internet connection, and a south-facing pool. The washer and dryer are not available for use by guests. On request, the housekeeper can do your personal laundry for a small fee. Guests are greeted at the airport arrivals exit by the local villa management company representative and taken to the villa. Rental car can be delivered to the villa prior to guest arrival. If guests wish to pick up rental car at the airport, they will follow the rep to the villa. Roundtrip airport transfers and basic provisions stocked in the villa prior to your arrival. Wow! 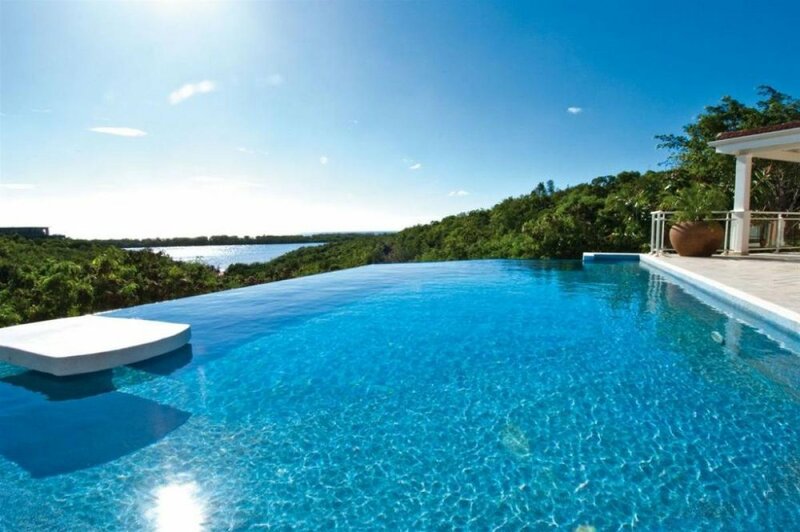 This villa is a secluded getaway with breathtaking views. The view is even better than the pictures. We received white glove treatment as we were picked up at the airport, transported to the villa, greeted by someone that helped orient us with the island, had a stocked refrigerator and rental waiting in the driveway for us. This property is very clean, quiet, and offers high class amenities. This is perfect for a couple looking for privacy and relaxation, or perfect for a family/multiple couples. WhereToStay representatives were helpful throughout the entire process. We will use WhereToStay.com for our future trips. Every touchpoint was a great experience.